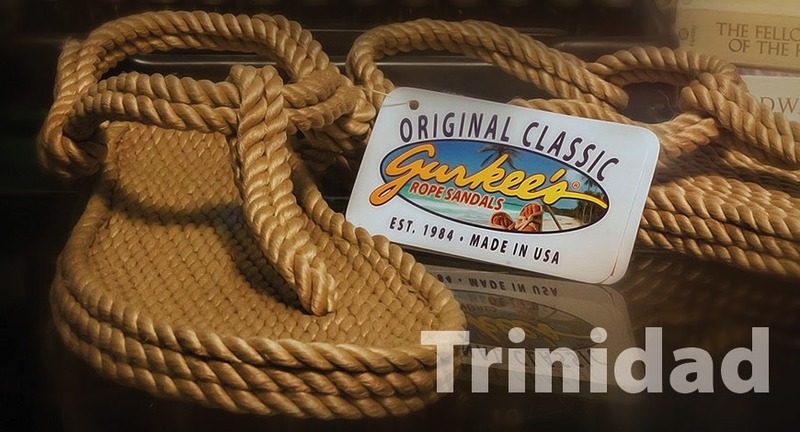 Experience is the teacher when it comes to enjoying the unique comfort and style of a pair of Gurkee’s. Vogue, GQ, Muse Magazine are some of the places you’ve seen the Gurkee’s® name. Fun and stylish for 2014. A mixture of our special carpet yarn Comfort Twisted™ into rope art with colors and design not to be found anywhere on planet earth. 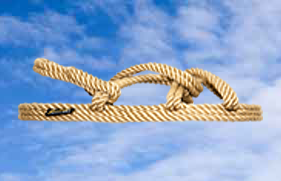 We make the rope ourselves in a special way for this collection to provide you this unique experience. 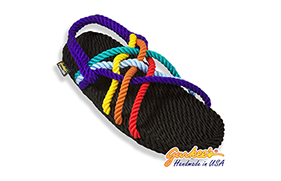 Thirty years, since 1984, Gurkee’s rope sandals has delivered the unique style and comfort everyone talks about. Our carpet fiber yarns with 3,960 tiny hair size fibers will massage and cusion your feet. ©2014 Gurkee’s® • Morgantown, WV USA • all rights reserved.